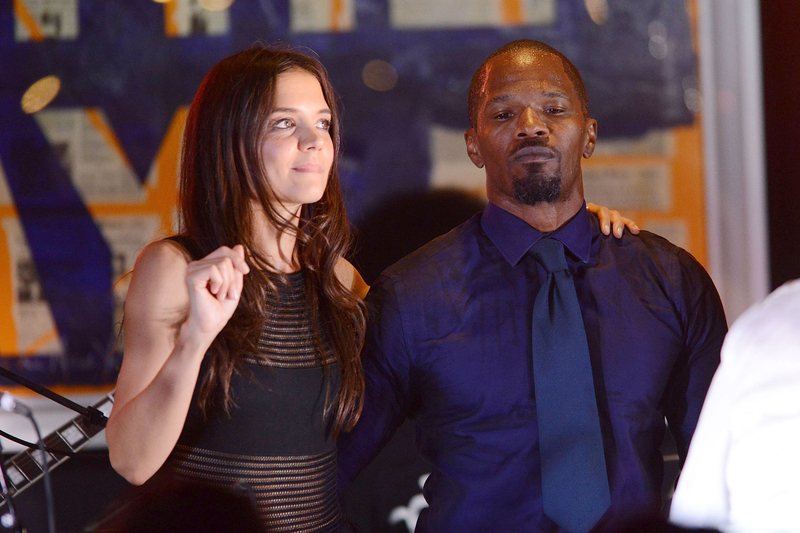 Katie Holmes and Jamie Foxx are done keeping quiet. Discreetly dating since 2013, the stars are finally ready to “go public” with their romance, a source close to the duo reveals in the new issue of Us Weekly. Find out more in the video above, and detailed below! Though they’ve been exclusive for years, explains the source, Holmes, 38, “used to be super worried about public attention.” So much so, that Foxx, 49 (he lives in L.A.), and Holmes (she splits her time between L.A. and NYC with daughter Suri, 10) have dodged paparazzi with elaborately planned meetings. Among them: a jaunt to Miami for New Year’s 2017 and a private Mexico getaway for Holmes’ birthday in December. On Sunday, April 2, the day before the Oscar-winning entertainer flew to Budapest to film Robin Hood, he and the actress (she was previously married to Tom Cruise from 2006 to 2012) dined out in the open at an NYC restaurant.